The Personal Trainer Life: The Good, The Bad and The Ugly! Faithful readers of the Personal Training Academy blog will know the last couple of years have seen me go from editor/journalist on the outside of the fitness industry to being “inside” the industry as a personal trainer. 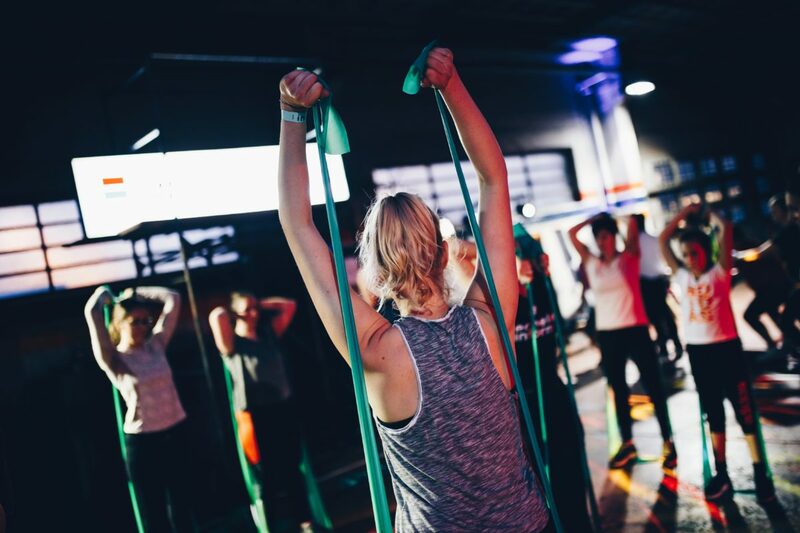 Whether you are already a personal trainer or an aspiring one, knowing the ins and outs of this industry will help you thrive. With my background, which includes a birthdate from the ‘60’s (you know the time of The Beatles, Bob Dylan… the first trip to the moon), I have a unique lens in which to compare this career to others. Here are the good, bad and uglies of the personal trainer life. You are passionate about helping others, and people are paying you money to do it. Being trusted to help someone is so rewarding. The gradual building of a relationship, sharing their highs and lows. The information you provide and the challenges you work through in their health and fitness journey also allow you to help them in their life outside of the gym. As a personal trainer, my favourite moments have been when a client has talked through or resolved what to do about a difficult situation in their life at work, in relationships, or friendships. I love when I hear I have helped them feel more in love with themselves inside and out, that their clothes are fitting better, and that they are gaining more confidence to do what they want in this world. It feels good to be a part of that transformation. Sometimes, you aren’t able to help. I worked with one a man whose size was at a dangerous level. He didn’t feel comfortable in a gym, so we started with having coffee to make a plan. That even became too confronting, so I had to back off. I also worked with a lady who was keen, but almost too keen. She had a recurring injury that kept coming up because she was secretly working out on the side of our prescribed routines. This sidelined her for months. Clients also move, lose motivation, and decide that the gym is not for them. This is the reality in the personal trainer life, but when you build a relationship with clients it is hard to say goodbye. It is hard knowing you have the skills to help them but aren’t able to. What first came to mind is the long hours and the politics of some workplaces. This is something to know of as it will take perseverance, time management, and the ability to stay focused on your professional goals in the personal trainer life. The ugliest thing I’ve seen is the nutritional disconnect between what trainers say and preach about nutrition to their clients, and how they actually eat! Shelves of sugary cereals line the kitchens of so many personal trainers. Pizzas, subs, and takeaway food become a part of the daily diet. It’s time to clean up the food quality of personal trainers and set an example we encourage clients to follow. Many personal trainers are great with their diet. But I have seen too many of my fellow personal trainers have a low standard of nutrition. Maybe I’m jealous because, with an older, slower metabolism, I can’t burn off excess calories. With the long hours of work as a personal trainer, it makes it hard to put in the time meal prepping for yourself when you can pick up a quick meal on the way home from a big day at the gym. The demands of the job mean you must advertise clean living and practice what you preach. This is a perfect opportunity to share your personal nutrition practice with your social media accounts and set an example for your clients and fellow personal trainers. It is a very advantageous post for me. I’ve enjoyed reading the blog. It is very supportive and useful information. I would like to visit the post once more its valuable content. Thanks for sharing this so interesting post! I really want to be thankful for the way you have put it here. MARTIN HENRY is the founder of Be.Do.Body and is a personal trainer with Fitness First and a business coach. His mission is to help people change. With a background in law, business and health he is a writer/athlete/motivator and can be contacted at martin@bedo.com.au or on Sydney waters on his ocean racing ski!